Diversity and effectiveness are two of the most critical traits that a teacher needs to have in order to impart knowledge and learning in the classroom. There are different ways on how the effectiveness and efficiency of a teacher can be measured based on varying standards. 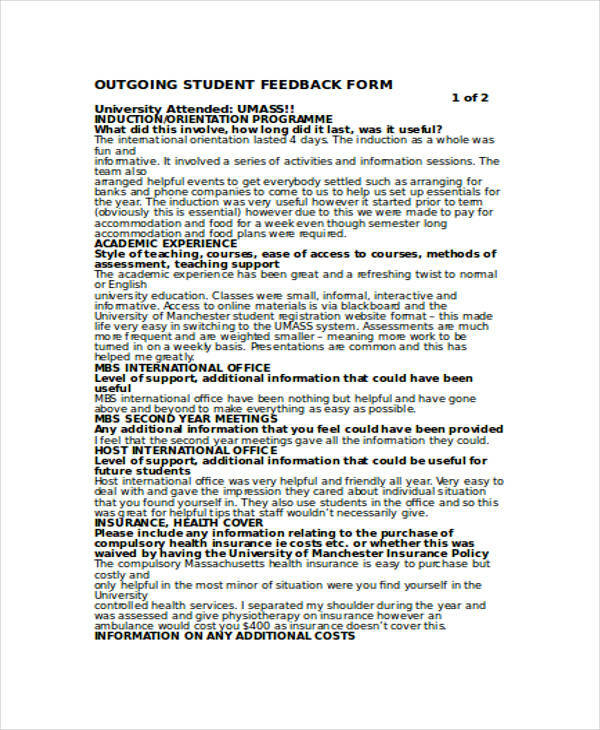 One of which is the usage of student feedback forms. As the main audience that are affected by what a teacher discusses, students have the utmost right to identify the strengths and weaknesses of teachers. 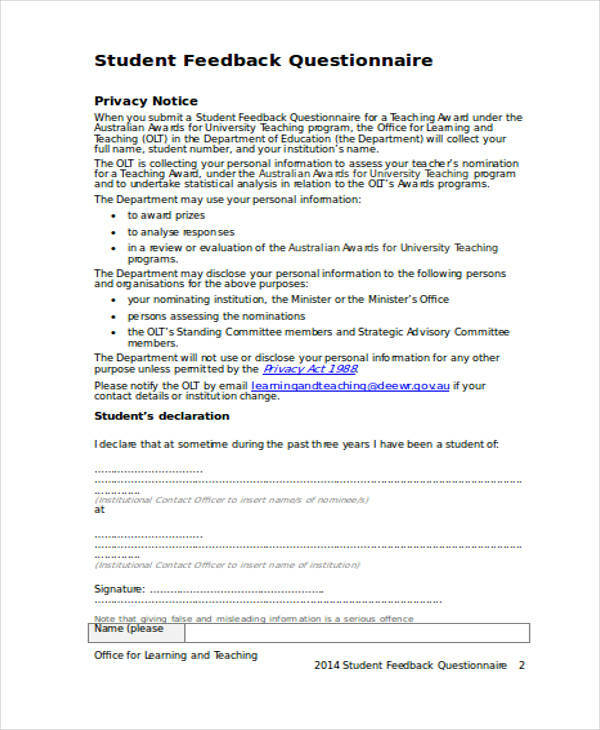 A student feedback can be in the form of recommendations or even just mere comments. 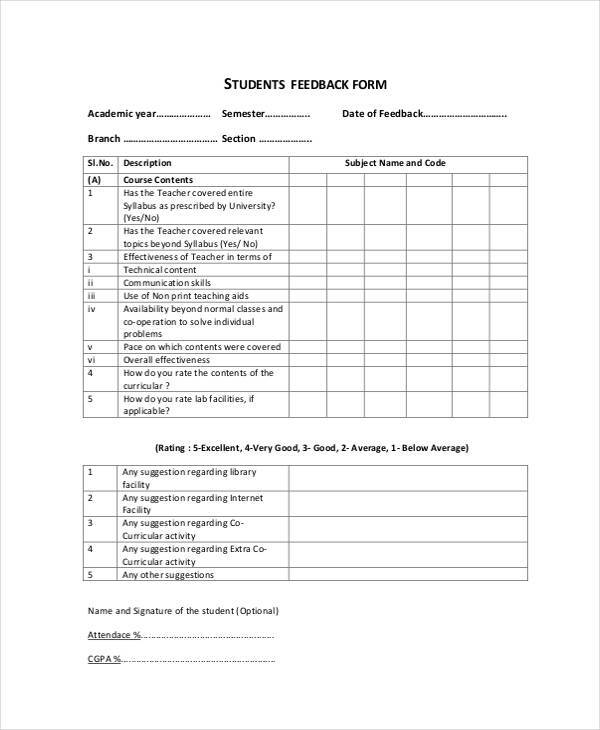 These feedback should be able to answer the questions that are thrown by the academic institution so proper steps either on management or development can be done with the concerned teacher. 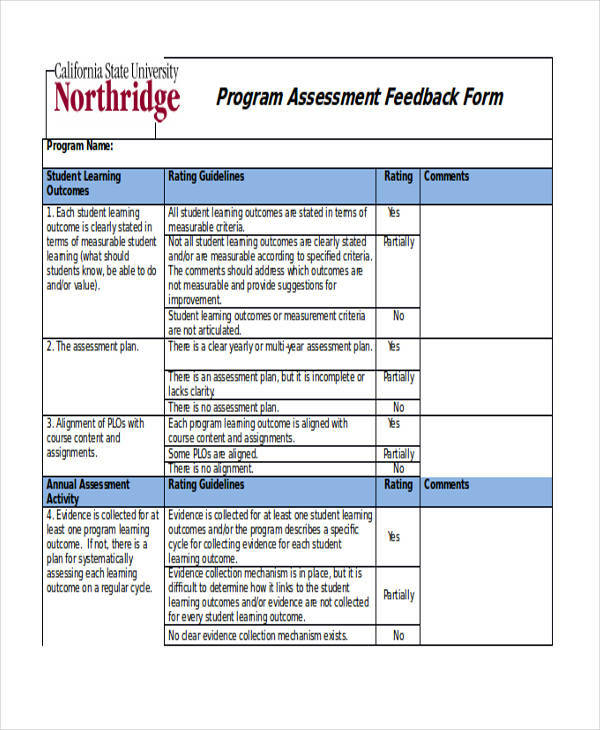 Student feedback does not only concern teachers as it can also be about administrators, the services of the school, the facilities of the institution or even on the processes that are done during enrollment. 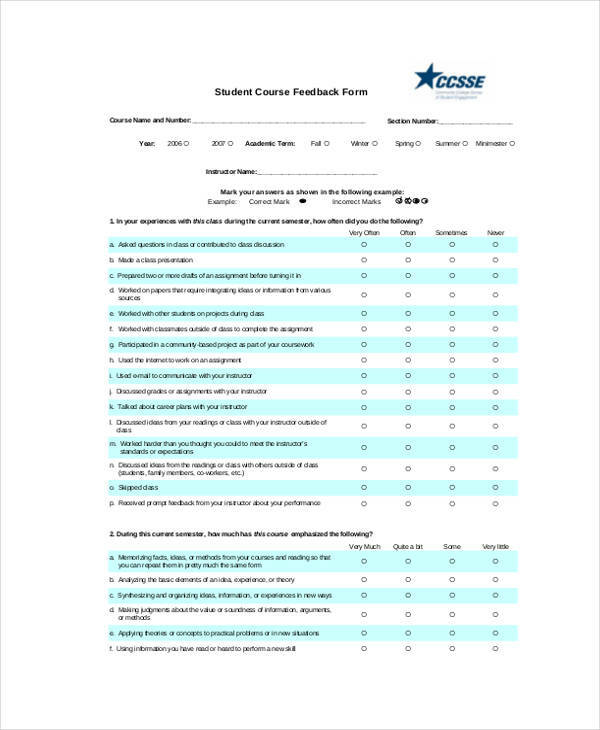 Student feedback is a useful tool for schools, teachers, and administrators, especially if they continually want to develop and grow. Yes, feedback can be scary; however, not all feedback is negative, some can even be congratulatory. 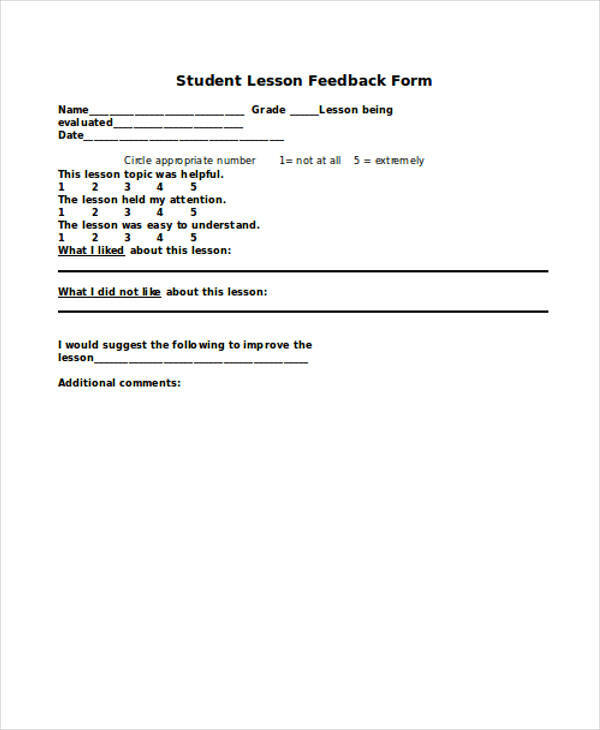 Why Is Student Feedback Important? 1. Promotes Student Interaction. Student feedback leads to engaging learning activities such as being able to find out what type of activities your students enjoy the most and which ones do they least like. Who says learning cannot be fun, right? In fact, the best way to instill knowledge among students is to make learning fun and easy versus making it dull and boring. 2. Promotes Discipline and Ethics. 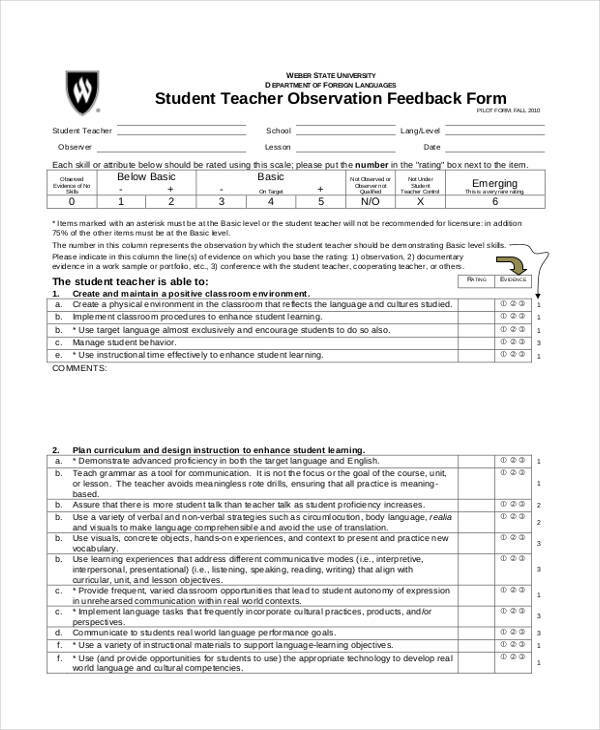 Student feedback is a way for students not only to enumerate the items that they would like the school or the teacher to consider but also to voice out different issues in relation to the academe. With this, students will be able to identify how to be objective and how to properly state the things that they want to raise without offending anybody. 3. Helps in Profiling Students Accordingly. 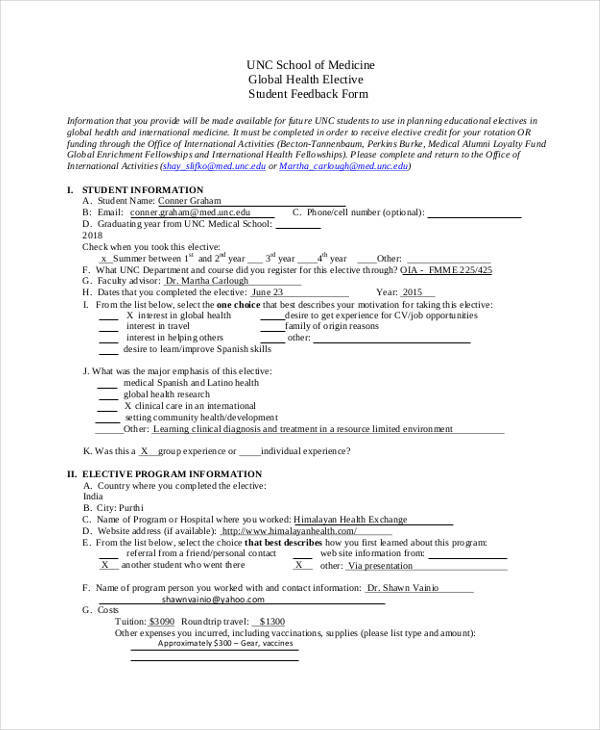 With the feedback form, administrators and other people involved can see how students react on scenarios. It can also showcase their characteristics especially their need for growth and development. 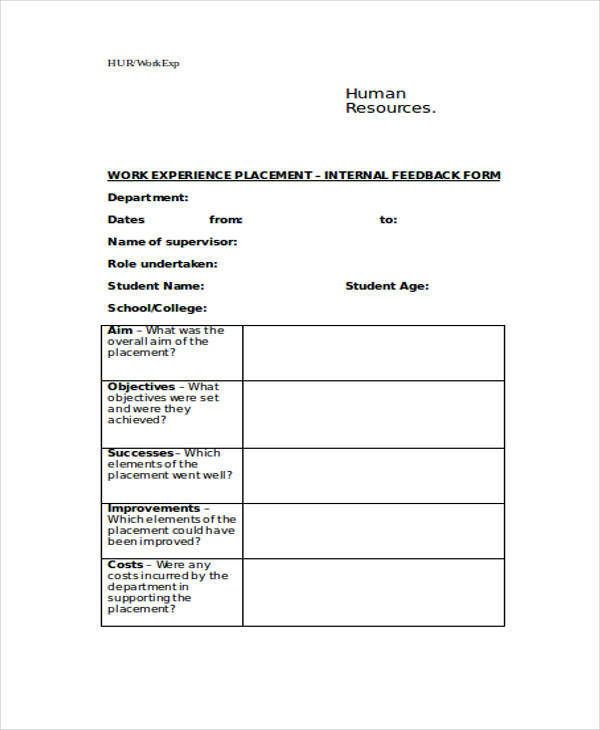 Since different students also have different levels of performance, using a feedback form can show how effective they are in terms of evaluating different people and/or circumstances. 4. Allows Promotion and Tenure. Teachers are usually evaluated in order to promote them or to conduct employee appraisals, and teacher evaluations usually depend on a student’s feedback of a teacher. Get ahead of the game by pre-determining how you perform in class and how your teaching methods are being taken in by your students. 5. Promotes Open Communication. There is nothing more fulfilling in the field of academics than to provide a healthy and friendly environment where students are harnessed to their fullest potential while allowing them to feel free in terms of expressing their opinions in a professional and formal manner. 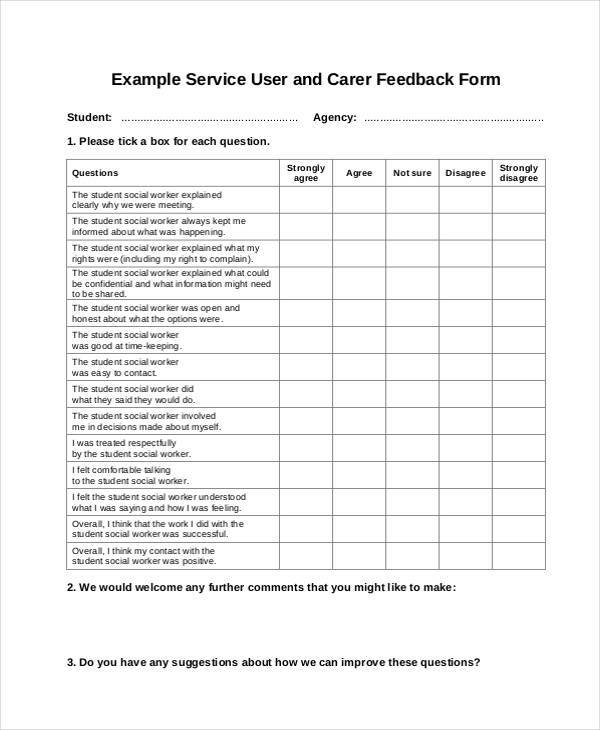 Allowing students to give their feedback can help them to develop their communication and social skills. It helps them to identify how to properly react on situations and how to deliver their reactions accordingly. What do you like most about this class? What do you like the least about this class? Do you find our class activities too easy or too difficult? Do you feel that our tests and quizzes are administered and graded fairly? Do you feel that our time in class is spent wisely? Do you think I am approachable? Do you feel like you can easily ask questions to me or talk about concerns? What else do you think I should know? That last question might seem like a throw-away but you would be surprised how it can elicit powerful answers among your students. You just never know what you’re going to get, so be sure to add an open-ended question like this to your survey. Even if you want your students to be honest, this does not mean that you can trick them on different ways just so they will truly be honest. What you can do is to provide questions that are direct to the point. More so, the direction of the questions should be clear so students can easily identify the situation that they need to expound on. Students can easily open up if they know what the discussion is all about. Hence, provide them with precise questions that can help them do what they are expected to do. 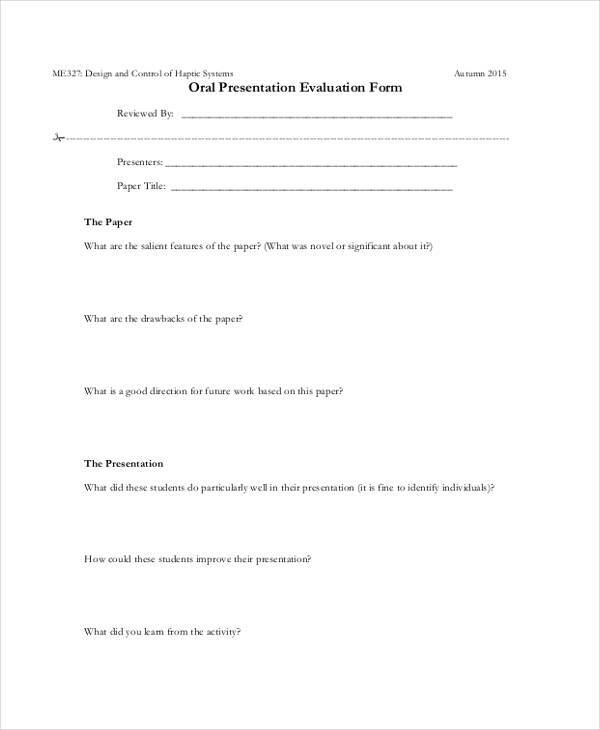 It is very important to get the attention and interest of students when allowing them to answer an evaluation. 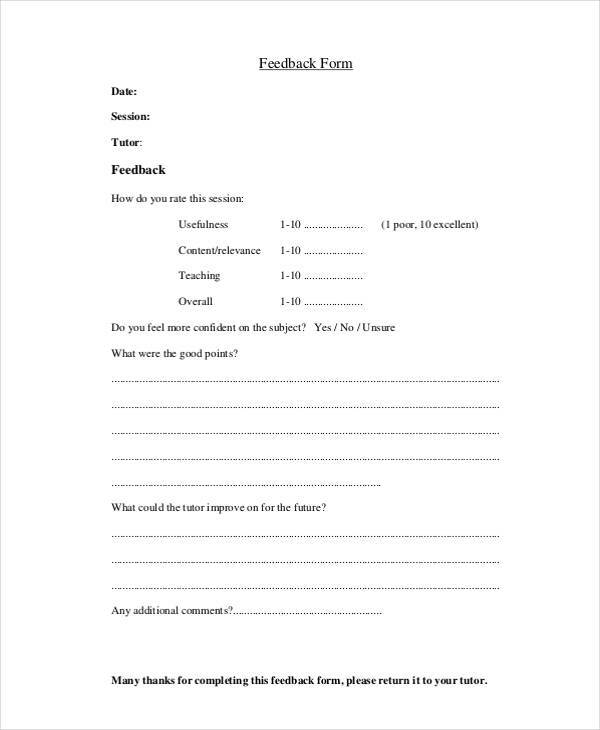 Make sure that you will incorporate questions that require different kinds of answers or responses so that students will not be bored when answering the feedback form. Give a clear set of instructions for students to easily understand what they are supposed to do. 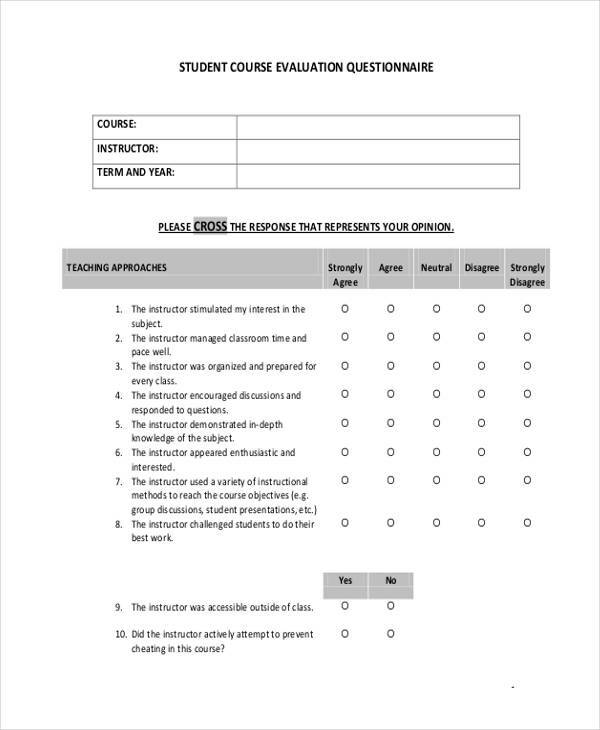 For example, if you include questions that allow students to rate you, indicate which figure is deemed to be the highest mark, and which one is considered the lowest rating. This way, confusion can be avoided and you are able to get proper results. 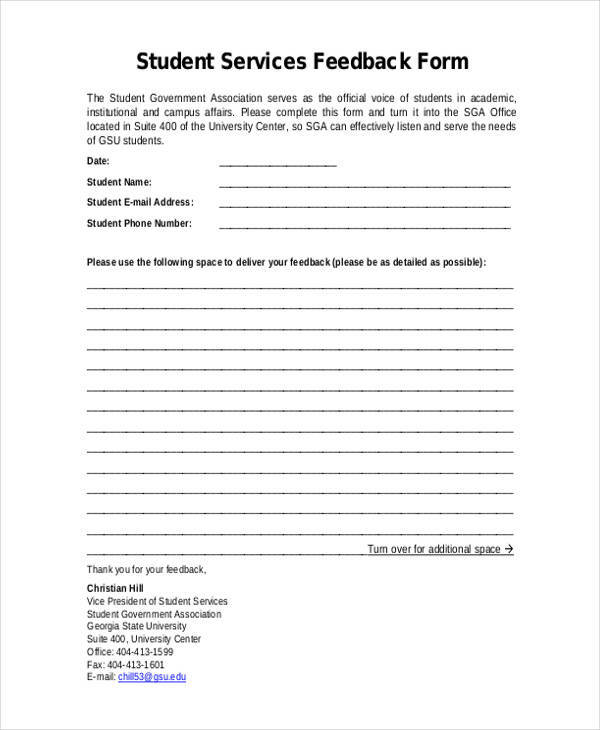 As an added tip, if you give out feedback forms manually, try to give them out at least 5 to 10 minutes before your class ends. 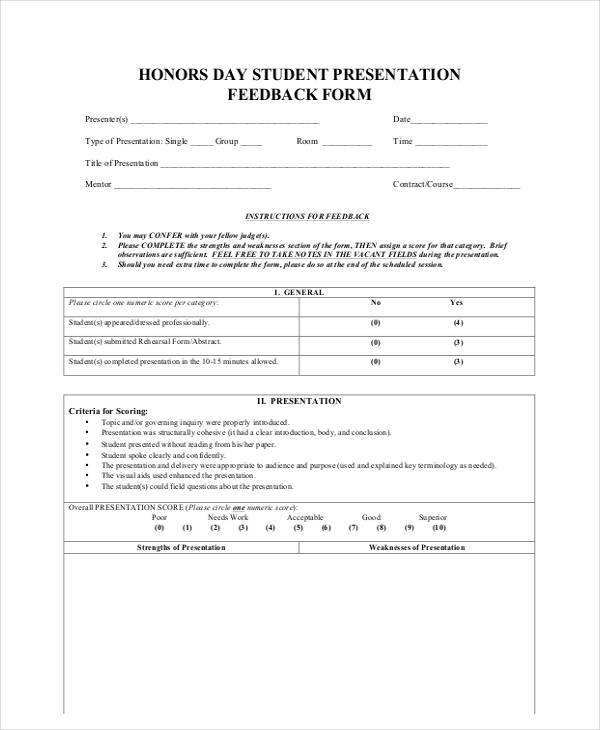 This gives students ample time to fill it out and for you to immediately collect them as soon as the bell rings. You might also want to establish ground rules pertaining to uncouth or offensive language used in the form or putting nonsense comments and suggestions that are not school- or class-related. Students are usually busy juggling school, study time, and sometimes part-time jobs. 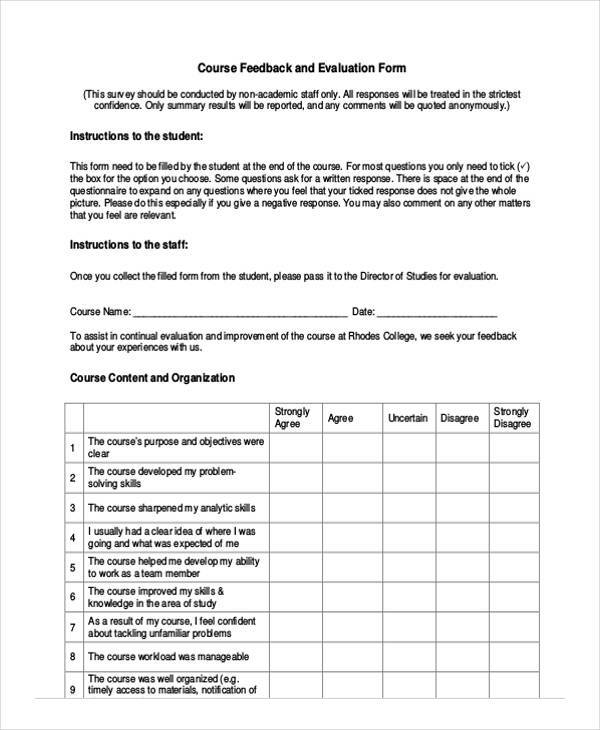 Another way to make sure that students take the time to fill out your Course Evaluation is to provide easy access for them such as providing online Course Evaluations which students can easily accomplish at their own convenience. 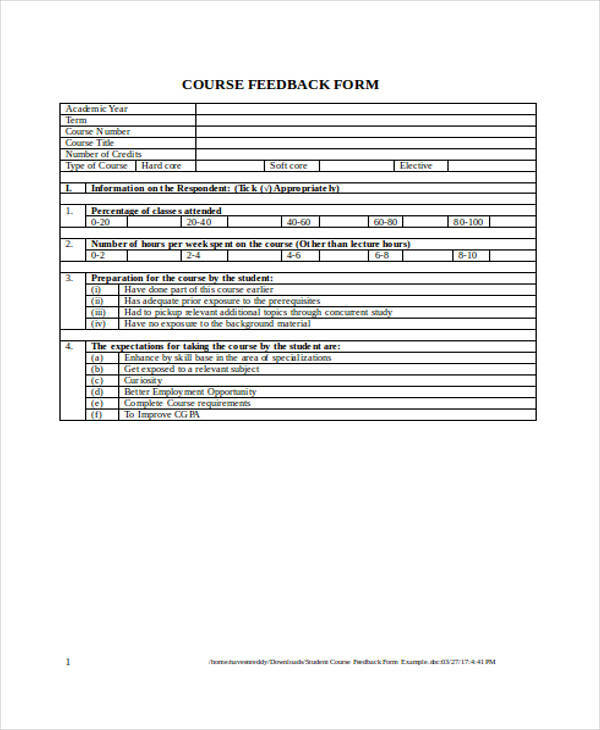 Our Course Evaluation Form, Evaluation Forms, and Student Evaluation Forms can be easily downloaded to give you easy access and help you make hassle-free and convenient evaluations with a click of a button. 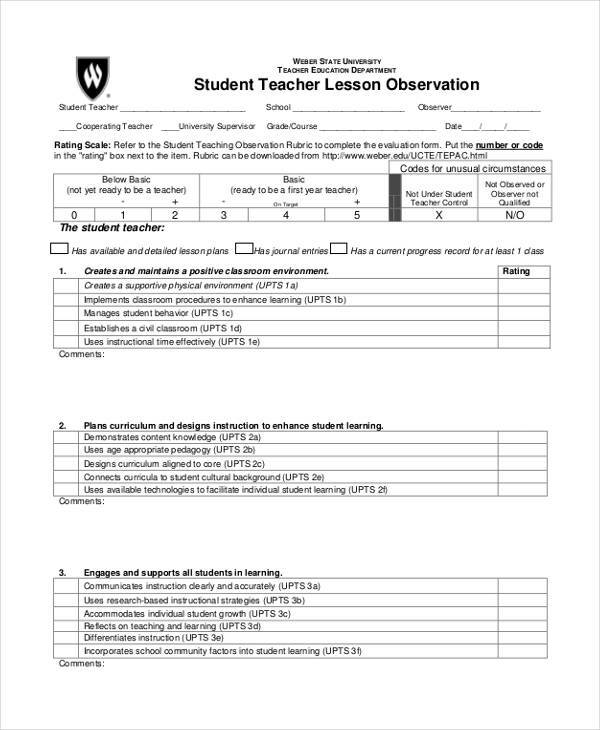 If you’re really curious about your work performance and effectiveness as a teacher, a teacher evaluation is one other way to collect an assessment and an analysis of it all. A Teacher Evaluation refers to the formal process wherein a school rates and reviews the performance and effectiveness of a teacher in the classroom. The general purpose of a Teacher Evaluation is to ultimately provide feedback to teachers and help them work through their professional growth and development. The factors used to evaluate a teacher vary according to details and requirements. Traditionally, Teacher Evaluations were conducted through classroom observations by principals or school administrators; in some instances, student’s work, teacher’s records, lesson plans, and other significant factors were also used to assess a teacher. Educational Boards grant tenure to the teachers who have already finished their period of probation. It is essential for the school’s management to be able to recommend a teacher so he/she will have a solid foundation when it comes to the tenure to be given. Written recommendation from either the principal and other high-ranking official of the school can truly make a big impact to the decision whether a teacher will be given tenure or not. Teacher Evaluations allow supervisors or administrators to provide feedback relating to the success or the failure of a teacher’s teaching method in light of their lesson plans. Lesson plans are important tools used by a teacher, detailing methods that a teacher uses to instruct students in accordance with the mapped outline that follows the specified curricula. 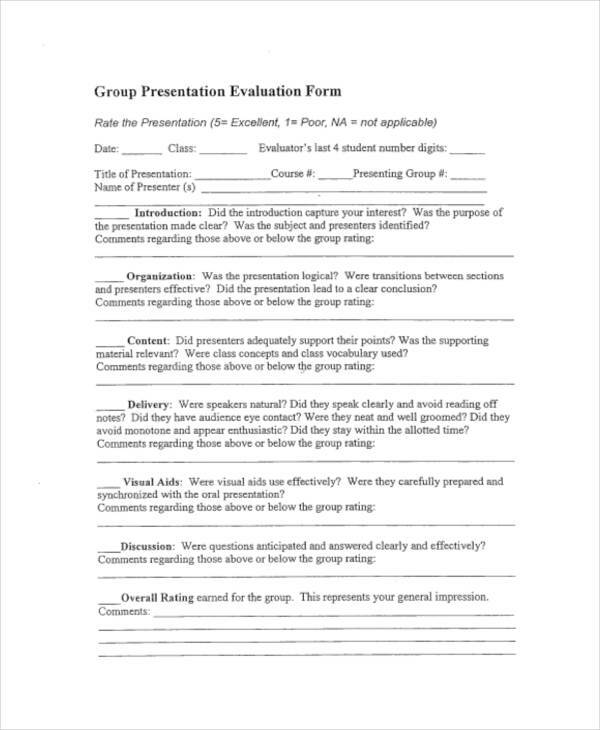 Through Teacher Evaluations, teachers and administrators will be able to determine if they were able to meet the written objectives stated in the lesson plan. Through Teacher Evaluations, teachers are able to improve and develop their teaching skills to help students learn and understand more in class. Highly effective teachers are able to provide enriching and lifelong educational and career aspirations among students. 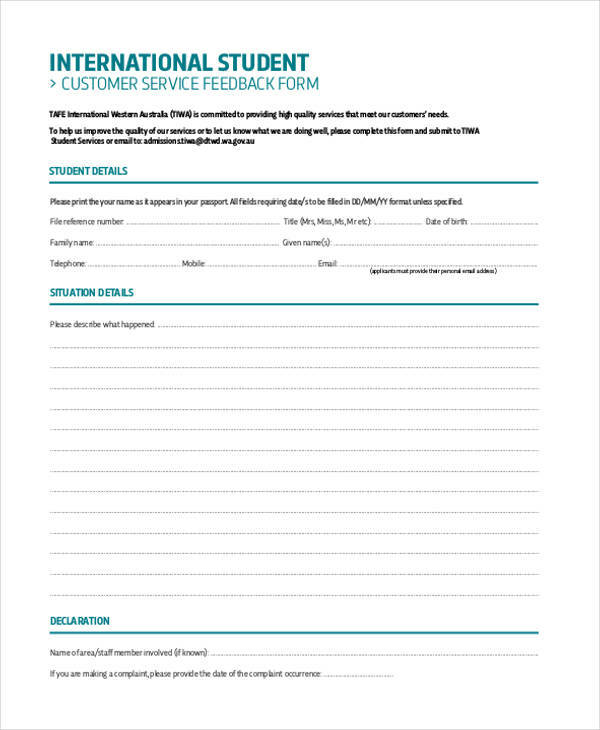 You can also download our teacher evaluation forms online apart from our student feedback forms and other feedback form sample templates as a tool for providing effective and impacting feedback and evaluations. Before even informing your teachers of an evaluation, be sure that you are knowledgeable about the guidelines and policies that have been mandated in your state relating to conducting teacher evaluations. Be sure that you are well-trained in the process so that you can successfully accomplish your assessments. There is nothing funnier than a person who conducts evaluations without being knowledgeable about the procedure itself. State-mandated guidelines are not the only policies that you need to be aware of prior to conducting evaluations. You also need to know about the policies and procedures that have been issued by your district, especially in areas wherein state guidelines or restrictions are not established. Before conducting any form of evaluation, make it a point to make your teachers properly informed about the evaluation process and what is expected of them. This helps your teachers be prepared for war. Also, make sure that you properly equip your teachers with the proper tools and training that can help them better their performance and method of teaching. 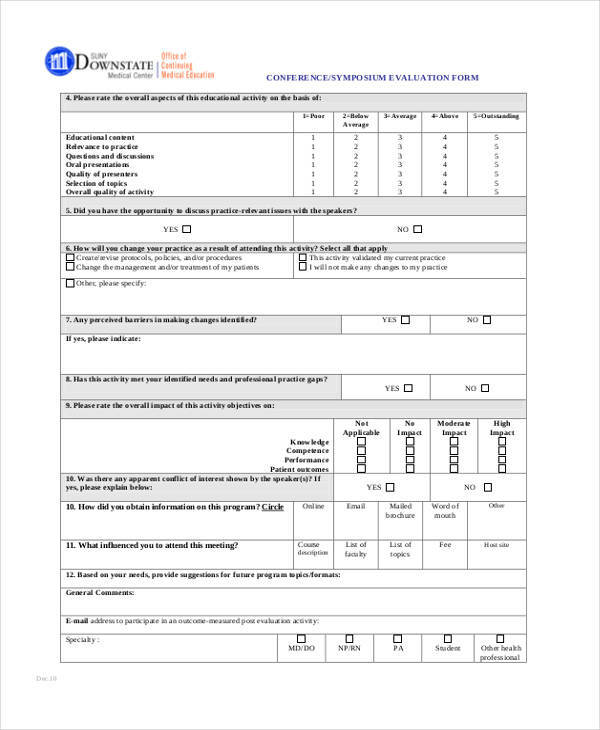 Teacher evaluation forms and other district-provided tools are usually handed out by your district in order for you to conduct evaluations. However, if your district allows you to utilize your own assessment tools, you can simply download our online teacher evaluation forms for free. 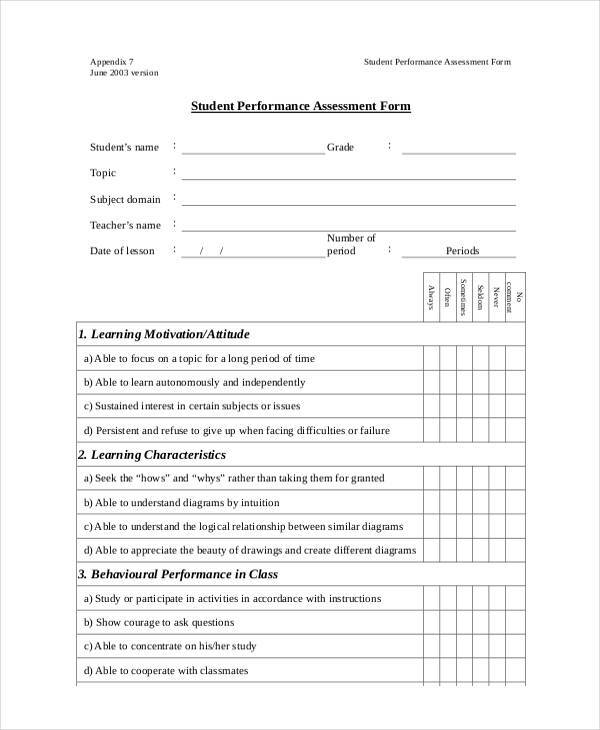 If you are using a teacher evaluation form, be sure to familiarize yourself with the standards, metrics, and criteria for grading that have been established. Take note of the objective of the assessment itself and be sure to review the guidelines of each assessment form and make sure that you adhere to the guidelines and intent of the instrument itself. Feedback should be given objectively for the benefit of the school, the students, and the teachers. It should be conducted in the most objective and unbiased way possible and its results should be delivered frankly yet not in an offending or sugar-coated manner. Providing feedback straight out helps teachers in realizing the real deal about their performance and will make them more aware of areas where they can improve on so that they can develop strategies that could aid them in performing better. There are many administrators who go into an evaluation with no intent of marking anything other than good or excellent. There is not a teacher who exists that cannot improve in some area. Offering some constructive criticism or challenging the teacher will only improve that teacher’s ability, and students in that classroom are the ones who will benefit.